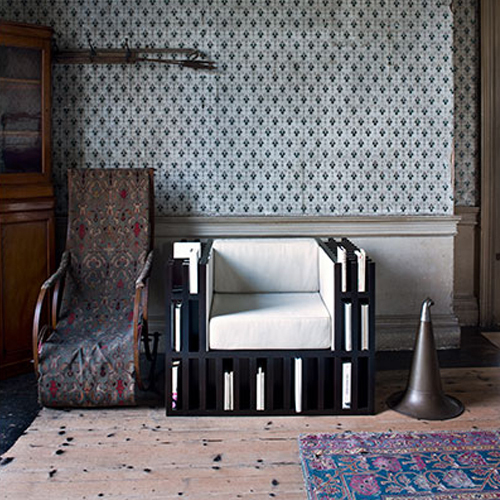 A chair and a book shelf, a chic and practical way to have your favorite books right at hand. 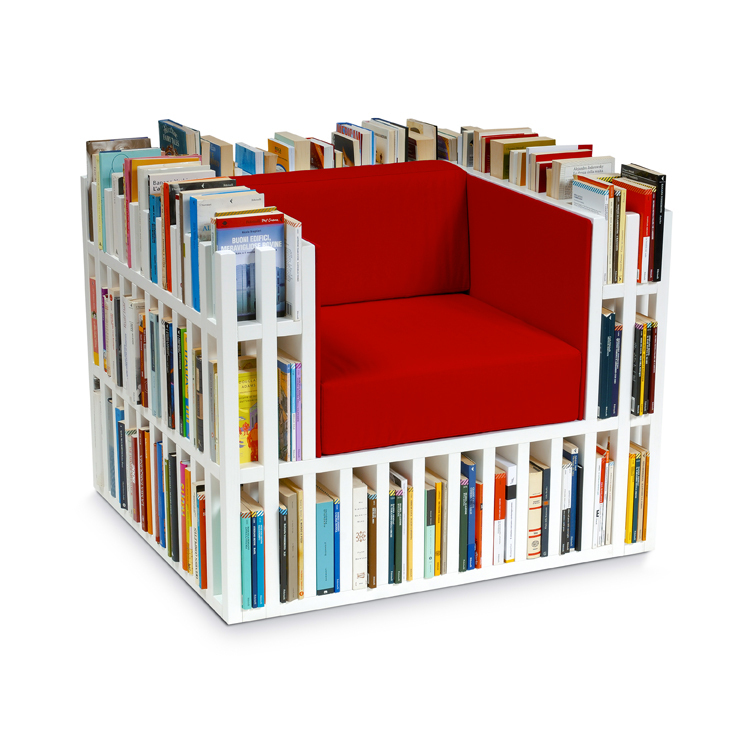 The Bibliochaise is made in Italy with materials adapted from high performance yacht technologies, it contains space for 5m of books, with the additional innovation of hidden wheels. The standard finish for the Bibliochaise is open-pore lacquer in white or black. Bespoke colors are available on request. Removable cushion covers available in a wide range of colours in cotton, leather, or hide. 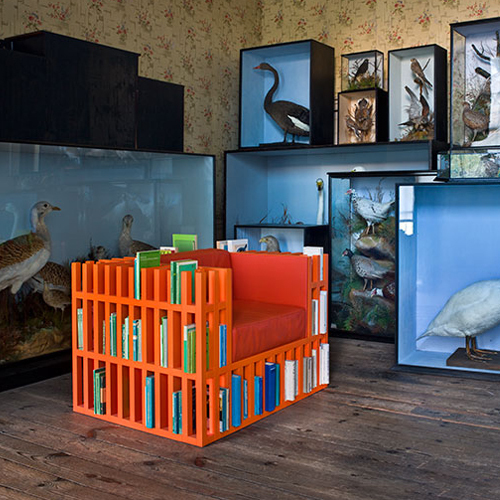 Bibliopouf can be bought as a companion piece to La Bibliochaise, but it also functions as a stand-alone piece in its own right and holds 1.4 meters of books.